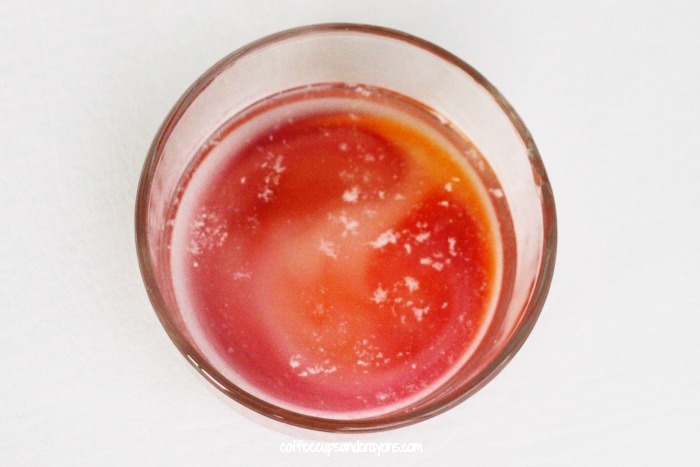 We love doing kitchen science experiments. They’re not just fun, they are easy to set up because the materials come from, well, your kitchen. 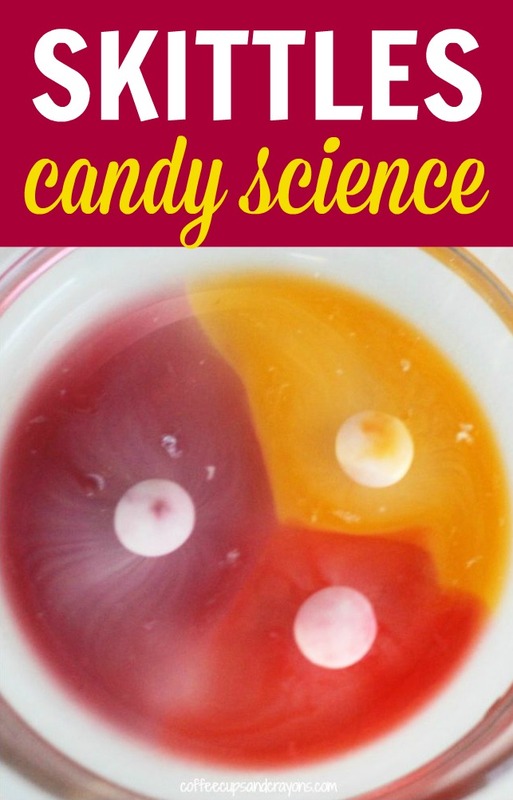 This Skittles candy science experiment is a favorite because you only need two supplies and the results are impressive. Pour a little bit of water into a dish and add a couple of Skittles candies. Immediately you can start to see something happen. Skittles are pure sugar so they dissolve in water. The Ss on the top start to dissolve and float to the top first, but it happens quickly so if you walk away you may miss it. As the color coating starts to dissolve the colors begin to mix together. Until finally you are left with a sugary water mixture. The kids love to see the colors mix together. 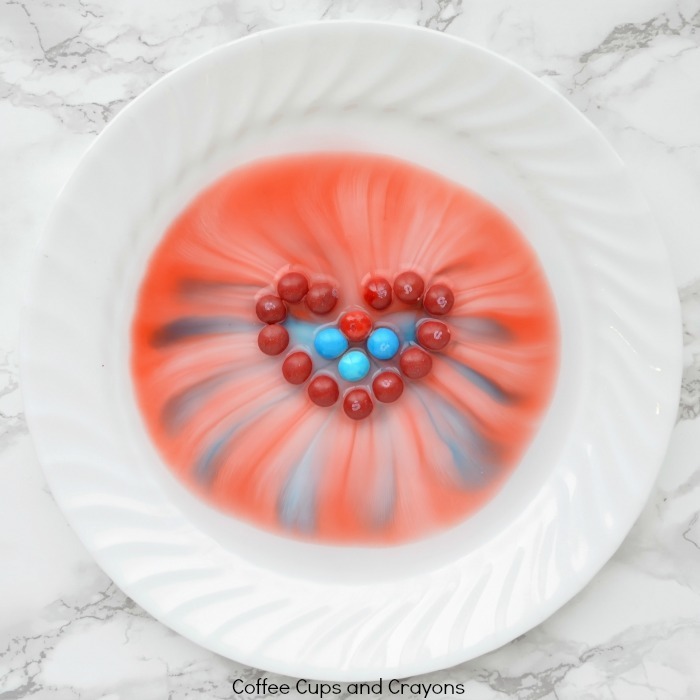 After you try it with a couple Skittles get creative and turn it into a shape like a heart to see how the results differ! You do it the same way but instead make a heart outline on the dish and fill it in with Skittles. It looks cool to use two different colors. Then add the water and watch what happens! 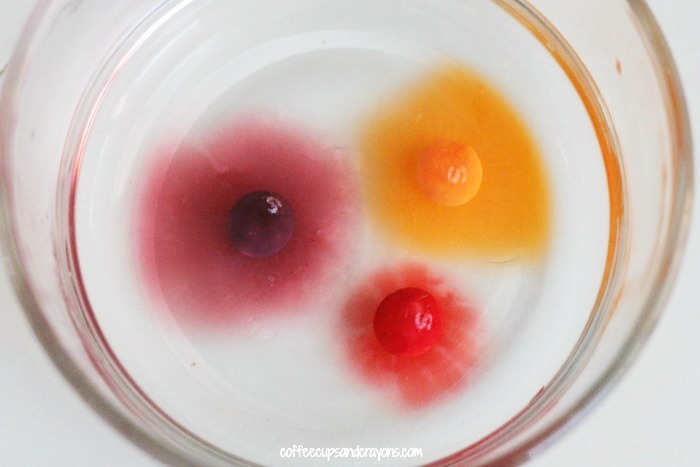 Another fun candy science experiment is dissolving an M&M. The results are similar, but not identical so it’s interesting to do both of them at the same time and compare what happens. 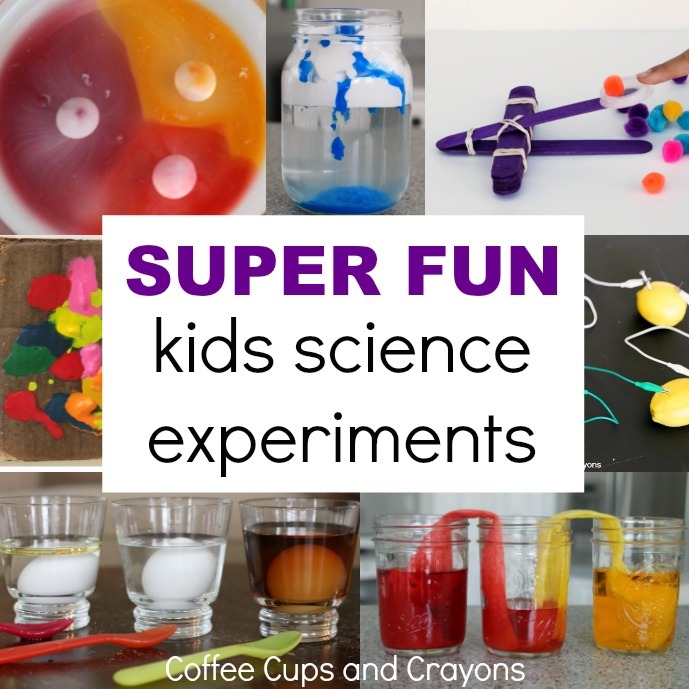 And make sure to check out and save the big list of all of our FAVORITE science experiments for kids! Organized into one place for easy reference! 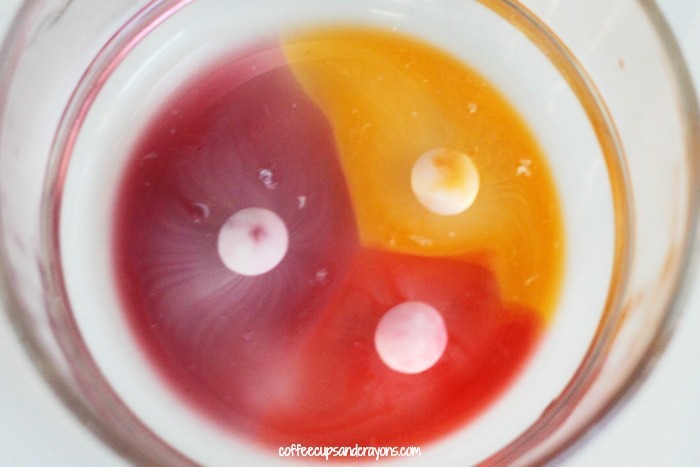 this looks like a cool experiment so awesome!